The Gov. of India, Ministry of Finance Vide OM no. 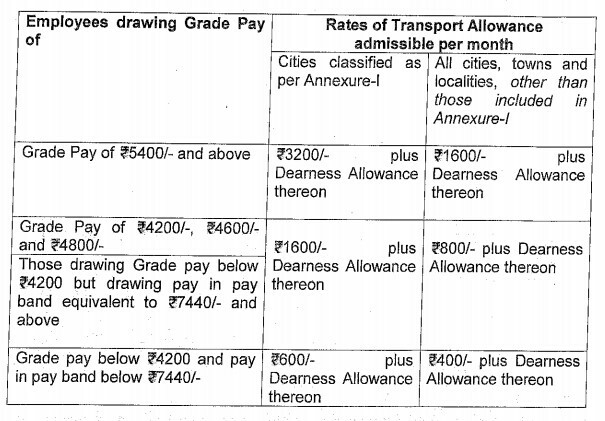 21(2)/2015-E.II(B) dated 6th August, 2015 revised the Transport Allowance to Central Government Employees with effect from 1st April 2015. 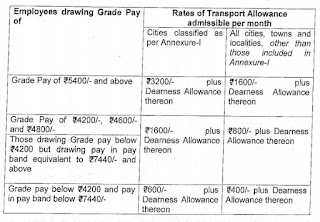 The rates are given below. For new classification of cities, refer to my earlier post dated 29th July, 2015.